Screw Lock PC Sync cables help top avoid one of the inherent problems with PC Sync Cables - their ability to fall out and break contacts. Screw Lock cables will normally far outlast a standard PC sync Cable. 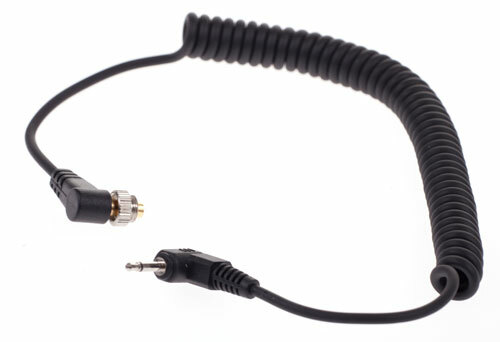 * Professional Coiled PC sync cable, can be extended to 1.5M. * PC SYNC port is made from Gold Plated Copper for excellent electrical conductivity. * It has a screw lock,so the cable can be locked with the pc socket of the camera/flash.